At its hardware fall event in New York, Google took the stage to officially unveil the new, extensively leaked, Pixel smartphones. 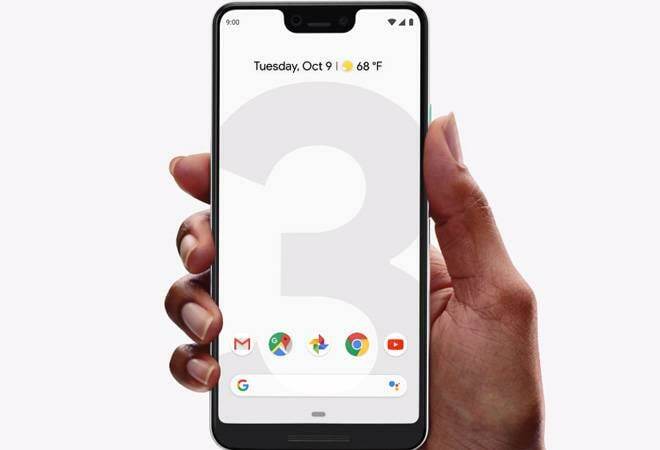 Featuring a bigger display in a design similar to 2017 Pixel 2 devices, Google claims that the Pixel 3 and Pixel 3XL brings the best of Google in a phone. The phones can answer telemarketers calls, supports wireless charging and features an enhanced AI camera. Available in two sizes - the 5.5-inch Pixel 3 and the 6.3-inch Pixel 3 XL - the former is priced at Rs 71,000 for 64GB, Rs 80,000 for 128GB and Rs 83,000 for Pixel 3 XL 64G, and Rs 92,000 for Pixel 3 XL 128GB. Pre-orders for Pixel 3 and Pixel 3 XL will begin starting October 11 and the phones will go on sale from November 1. These two new phones are IP68 certified, which makes them dust resistant and water resistant up to 1.5 meter for up to 30 minutes. Continuing with Pixel's two-tone design, with soft-touch glass back, the new phones will be available in three colours - Just Black, Clearly White, and Not Pink. Focusing on security, Google has used a custom-designed Titan M security chip, that enhances mobile security by protecting unlock credentials, disk encryption, app data, and the integrity of the operating system code itself. Google has successfully managed to resist the addition of multiple cameras at the rear and continues to feature a single camera module with artificial intelligence capabilities. Both, the Pixel 3 and Pixel 3 XL feature a 12.2-megapixel camera at the rear with a new camera UI. However, there are two front-facing cameras, of which one captures a wider field of view for getting more people in the image. Improvising one of the best smartphone cameras even further, Pixel 3 devices use a feature called 'Top Shot' that uses AI to help capture the perfect photo every time. While capturing a motion photo, the phone captures alternate shots in HDR+, then recommends the best one, even if it's not exactly when the shutter was hit. For grain-free zoom in, Super Res Zoom (a computational photography technique, traditionally used for astronomy and scientific imaging) has been used for producing sharp details when zoomed-in. Pixel 2 was one of the best cameras for low-light photography and the legacy continues with Pixel 3 as Google claims to capture natural-looking photos in dark surroundings, even without a flash. With Night Sight, coming soon to Pixel 3, users will be able to take bright, detailed, colourful shots around the campfire, in a moonlit forest, or after you close out the bar. Eliminating the need of reaching shutter button for selfies, the Photobooth mode uses AI to recognize when you're are ready for a selfie and snaps the shot automatically. Capable of capturing Super smooth video, the Motion Auto Focus ensures Pixel 3 camera stays in sharp focus automatically, when used for recording. It even brings front-facing video stabilization for selfie videos when moving around. Just like earlier Pixel devices, even with the new hardware, users will get access to unlimited photo and video storage backup on the cloud. The new AI enabled features include Google Lens built right into the Pixel 3 camera. This can be used to scan and translate text, find similar styles of clothing, or identify popular plants and animals, and more. When pointing the camera at information a user wishes to remember, Google Lens will suggest what to do next, like creating a new contact. The Smart Compose feature suggests phrases in the emails for fast compose. Gboard will recommend GIFs, stickers and more, to make conversations fun and engaging. Other AI-powered features include screening phone calls and avoiding spam calls but this feature will be rolling out in English in the US market to start with. Pixel users in the US will be the first to get access to an experimental new Google Assistant feature, powered by Duplex technology, which will help to complete real-world tasks over the phone, like calling a restaurant to book a table. Running Android Pie 9.0, the new phones feature Digital Wellbeing that includes a dashboard to help understand how you spend time on your phone, the ability to set time limits on specific apps, and more. Supporting Wireless charging, the Pixel 3 comes with an 18 Watt fast charger in the box, which can give seven hours of use in 15 minutes of charging. Google claims that by using AI-powered Adaptive Battery technique, Pixel 3 prioritizes battery power for more important apps to make the phone last all day. Along with Pixel 3, Google has also introduced a Pixel Stand, a new Qi compliant wireless charger. While charging in the Pixel Stand, the phone will turn into a smart visual and audio experience powered by the Google Assistant, similar to Google Home Hub. It will answer questions, help control smart home devices, transition into a photo frame when idle, and much more.